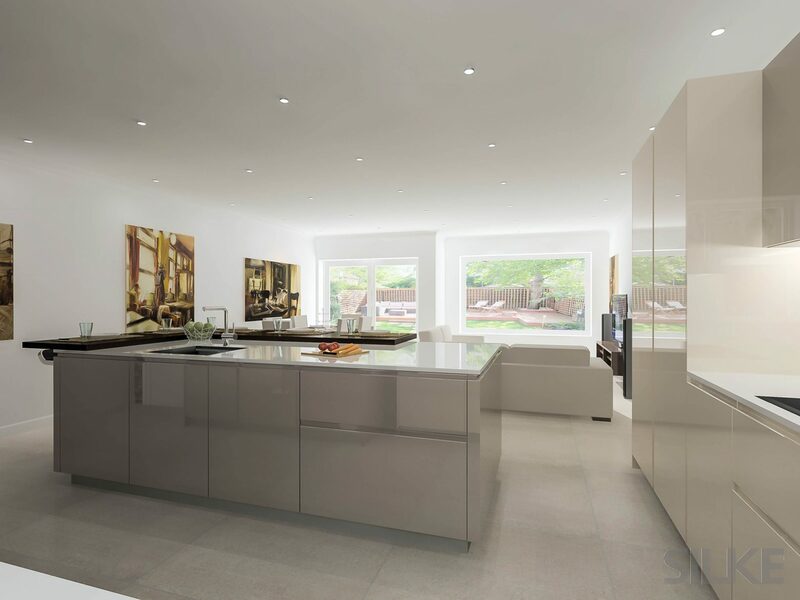 This installation is one we take an especially large amount of pride in, and rates as some of the most original design work we’ve done since our foundation. 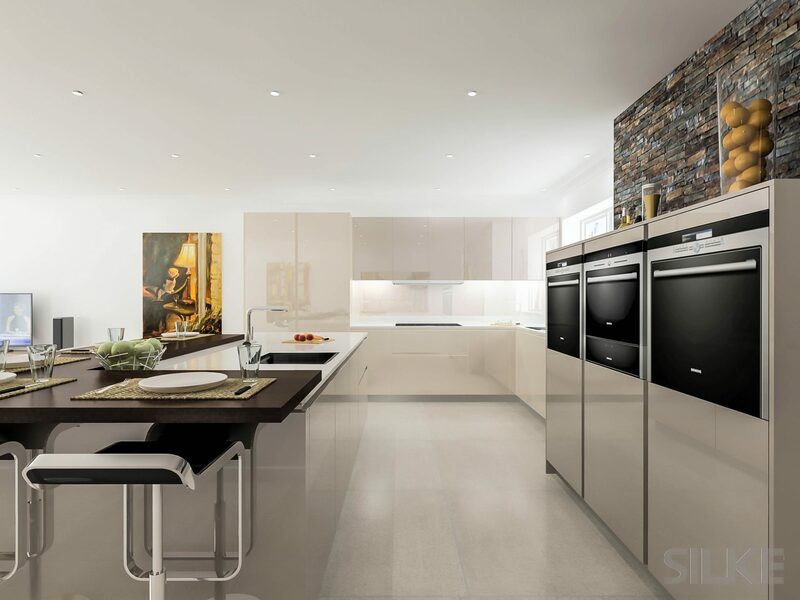 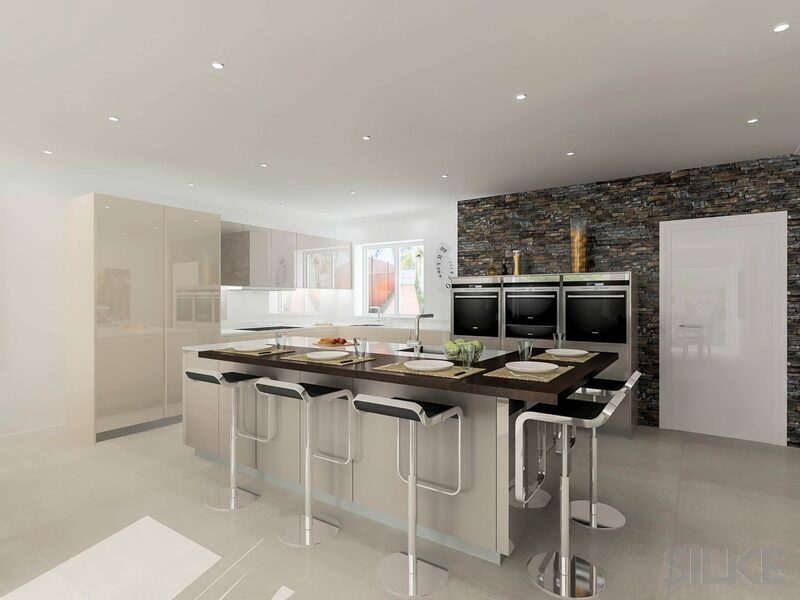 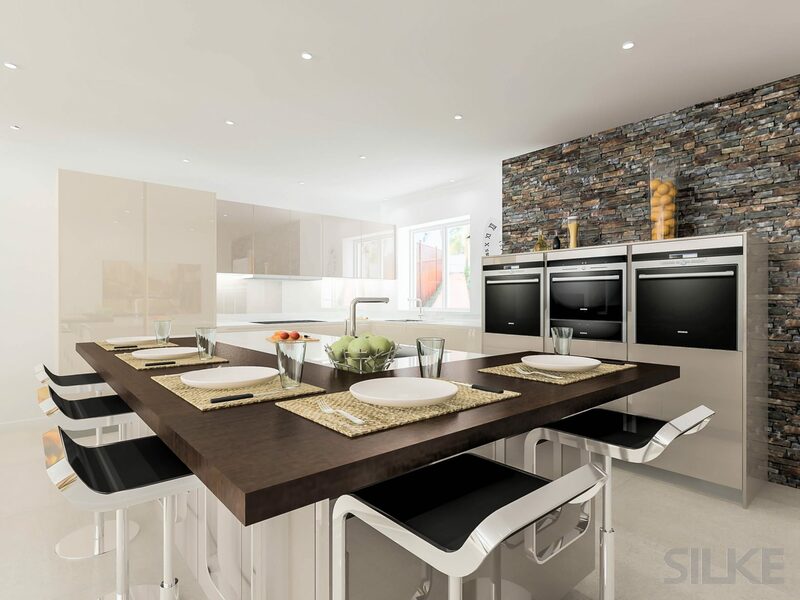 Situation in the esteemed Golders Green area of London, this kitchen’s key design features includes both a Sand Grey and Sahara coloured laminate finish, both of which are complimented and contrasted by three glossy, black Siemens iQ series ovens. 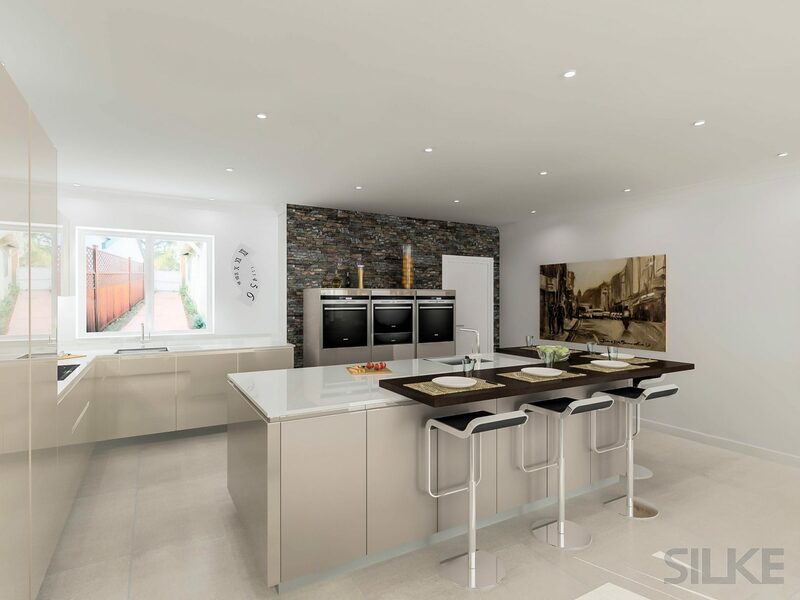 The real centrepiece, literally and figuratively, is the island featuring our signature stone top work surface, annexed by a lovely Spekva by Silke breakfast bar. 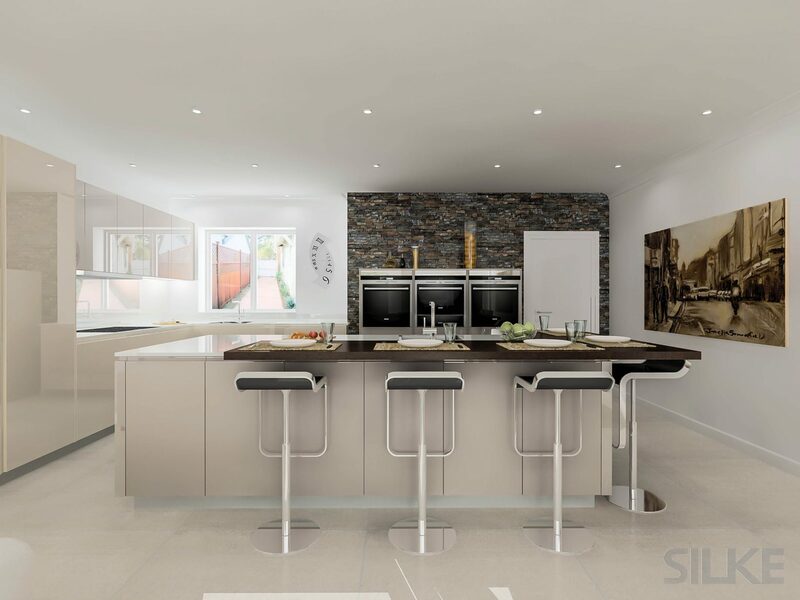 When all of that is paired off by the brick detailing on one of the walls, you get a kitchen that is warm, inviting, and homely in feel and ambience, whilst still retaining a distinctly modern flair.